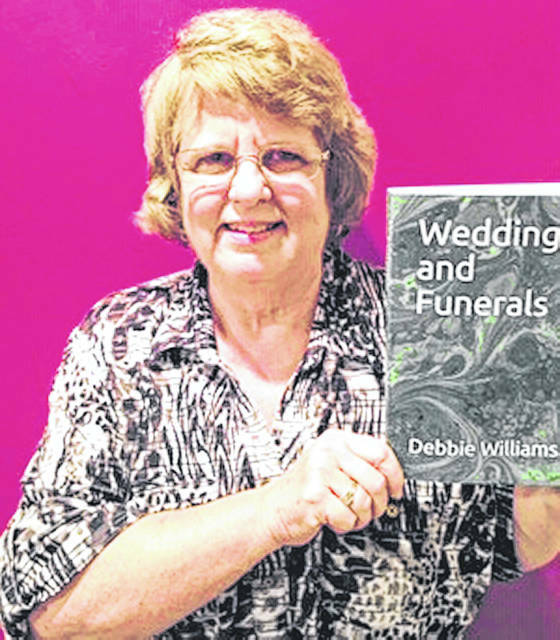 Local author Debbie Williams will be selling and signing her books Saturday at the Highland House Museum. Debbie Williams, retired educator and local author, will appear at 1 p.m. Saturday, Dec. 8 at the Highland House Museum to sell and sign her books. The Highland House serves as headquarters for the Highland County Historical Society and is located at 151 East Main St., Hillsboro. Williams creates characters and situations in which the reader can be totally immersed. Each book involves mystery and suspense and sometimes adds a situation based on one of her former students. Williams is a lifelong learner and reader and enjoys sharing the writing process with her readers. She has written six books. They books are available in the museum shop year-round. The Merry Mercantile Christmas shop at the Highland House will be open from 1-5 p.m. Thursday through Saturday. Several artisans have replenished their products, and a few have redesigned their displays. Gifts range from pottery and jewelry, home decor and Christmas items, homemade cookies and jellies to candles and soap and crocheted and knitted items. The historical society is committed to supporting local artisans. Antiques, glassware, books by local authors, books about Highland County history and greeting cards are available in the museum shop. An updated version of a Cooking Then and Now Cookbook is for sale at $12. “Your support of local authors, local artisans and the historical society is very much appreciated,”Knauff added. Submitted by Vicki Knauff, director, Highland House Museum, Highland County Historical Society.